BAGUIO CITY – Mayor Mauricio G. Domogan issued Administrative Order No. 195, series of 2018 suspending the implementation of the Baguio Number Coding Scheme for private motor vehicles only during the 65th Mine Safety and Environment Week and the 69th edition of the Fil-Am invitational amateur golf tournament on November 19 – December 14, 2018. On November 20-23, 2018, Baguio City hosts the 65th Annual Mine Safety and Environment Conference spearheaded by the Philippine Mine Safety and Environment Association (PMSEA) with some 500 mining industry stakeholders converging in the city to discuss pertinent issues and concerns affecting the country’s mining industry, while on November 28 to December 15, 2018, over 1,300 amateur golfers from different parts of the world will arrive in the city for the 69th Fil-Am invitational amateur golf tournament to be played at the Baguio Country Club (BCC) and Camp John Hay (CJH) fairways. 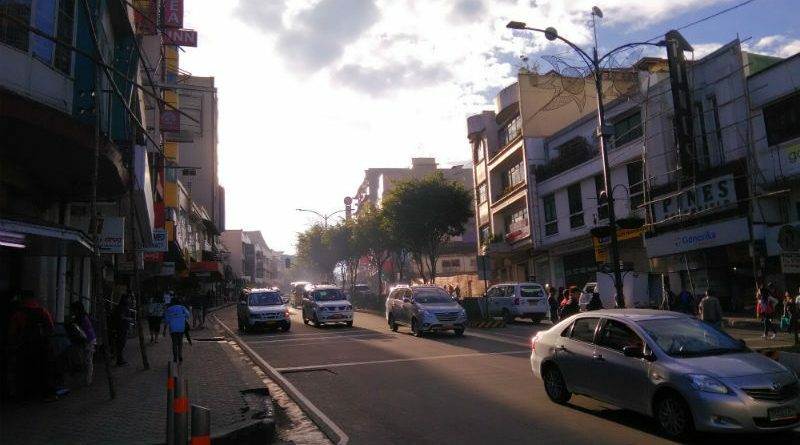 “We need to suspend the implementation of the number coding scheme for all private vehicles only in the city on the aforesaid dates in order to provide members of the mining industry and other stakeholders and our golfers, visitors and their families convenient and stress-free journey around the city to help boost the city’s identity as the prime tourist destination,” Domogan stressed. The local chief executive tasked the City Public Information Office under the City Mayor’s Office to widely distribute the said order for the information of residents and tourists alike. Ordinance No. 01, series of 2003 s amended by Ordinance No. 107, series of 2008 is known as the Baguio City Number Coding Ordinance. Section 6 of Ordinance No. 01, series of 2003 as amended by Section 1 of Ordinance No. 107, series of 2008 exempts private motor vehicles and chartered public utility vehicles of visitors, tourists, vacationers or participants of sanctioned activities such as conventions, conferences and assemblies provided that sponsoring groups of the conventions, seminars, conferences or assemblies shall be required to issue to their participants the necessary stickers or documents showing that the owners or possessors thereof are participants in such activities. Executive Order No. 1, series of 2009 entitled “Setting the Guidelines for the Implementation of Ordinance No. 107, Series of 2008” defines sanctioned activities as those referring to sponsored, co-sponsored or hosted activities by the City of Baguio which are duly authorized or approved by the City Mayor or the City Council through the appropriate resolutions. The Baguio Number Coding Scheme is one of the measures to help reduce the volume of motor vehicles traversing the various roads within the central business district to help in the smooth flow of traffic in the city.